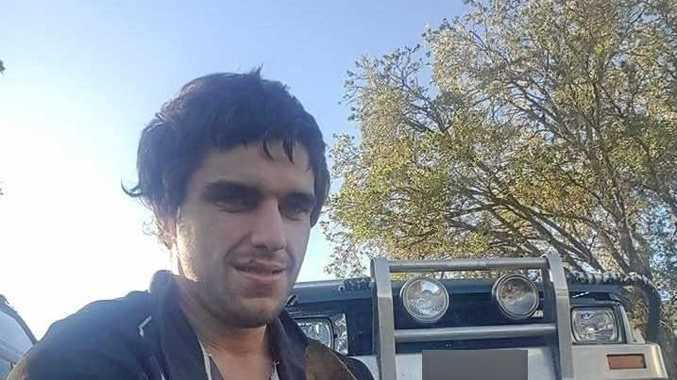 HIDDEN TREASURE: Rich nugget of region's history had gathered dust in a Rockhampton home until it breathed new life after being found recently. This photo shows Mount Morgan Mine in 1888 with manager Wesley Hall on extreme right. ONE Rockhampton property manager has unlocked a vital piece of the region's history. Tamara McClymont from Pat O'Driscoll Real Estate in Rockhampton recently discovered the original deed of a 19th century house once owned by William Knox D'Arcy. 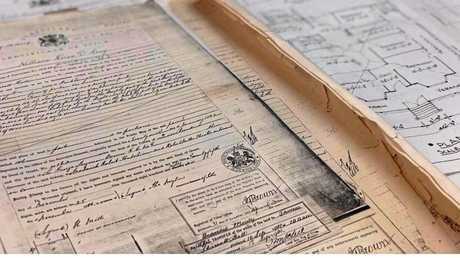 The deed had been stored in a cupboard in the home, along with a full list of land owners and a history of the property. 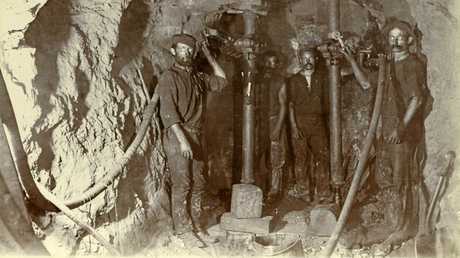 Miners working underground in the Mount Morgan Mine in the early 20th Century. Photo Courtesy the State Library of Queensland. 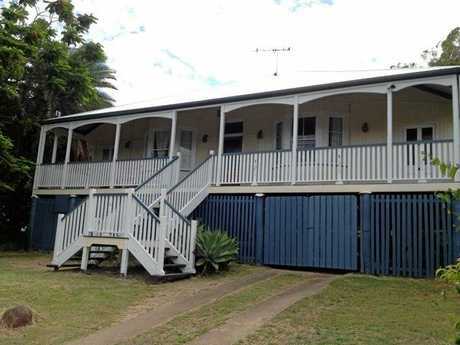 After finding the document, Ms McClymont discovered Mr D'Arcy had built the residence at 6 Bauhinia Terrace at The Range in Rockhampton after securing the land. The land block had been transferred over to Mr D'Arcy in 1886 before he later built the home. Ms McClymont said Pat O'Driscoll Real Estate had managed the historic property since 2004. "I have looked after the property within our office for the last three years," Ms McClymont said. Over the decades, the house (which is located near Penlington and Brae Sts) has gone through a few changes. In October 2003, the owner had made some alterations which have remained to this day. Today, the house consists of three bedrooms and a study. An additional bedroom was converted to a bathroom, while the original bath had been altered into an office. Meanwhile, the tenants enjoy the spacious feel of living with a large kitchen and a drawing room, a plan reminiscent of the period it was built. A verandah which once wrapped around the house has partially been enclosed where two small sleep-outs have been created. 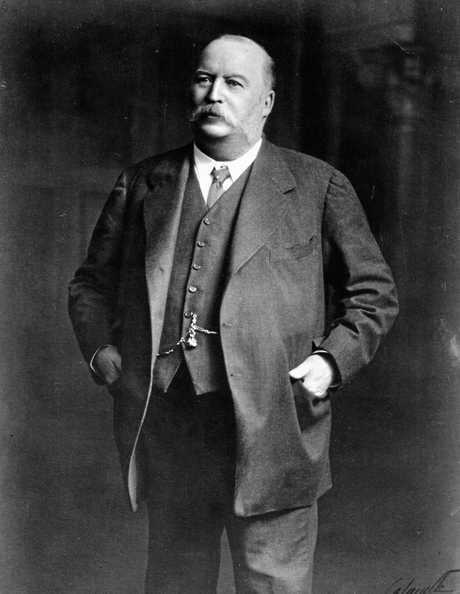 William Knox D'Arcy circa 1907. Also, the original light shades are another feature which reminds tenants and visitors the prestige of the 19th century. Mr D'Arcy had left his mark on the property by leaving a personal touch. He had carved the letters D and E on the two stained glass windows at the front of the residence which can still be seen. William Knox D'Arcy, mining enterpreneur. Photo Couresty the State Library of Queensland. The letter D stood for his surname while the letter E was made for his wife's name, Elena. Elena died in 1897. D'Arcy later remarried before passing way in 1917. 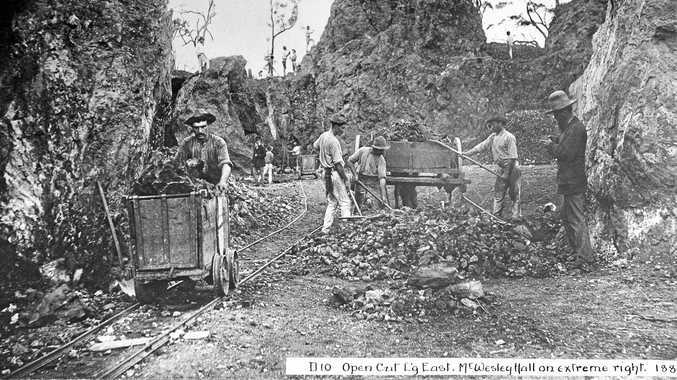 Mr D'Arcy was one of the most influential figures in the region, and served as one of the original syndicate members of the famous Mount Morgan Mine. 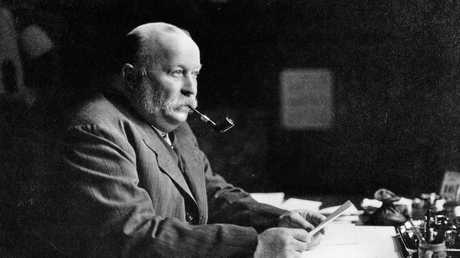 Fellow shareholder, Thomas Skarratt Hall would later purchase the Rockhampton property from Mr D'Arcy in 1902. While the property is not on the market, history buffs can take great comfort in it being an important piece of the region's past.